I got such a lovely surprise at my own front door this morning and I must tell you all about it! This beautiful package of goodies from the new Special Delivery and Little People collections came to me from hiPP, makers of fine stationery and gift packaging, and there was even a little sweet treat within just for me! 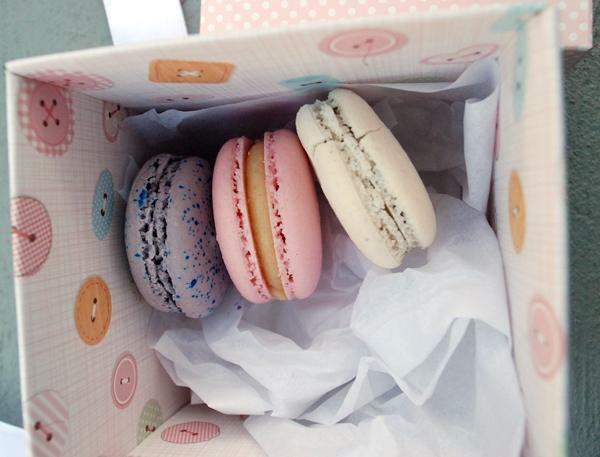 Those enticing Adriano Zumbo macaroons lasted long enough for me to take some pictures before being snaffled with a cuppa. 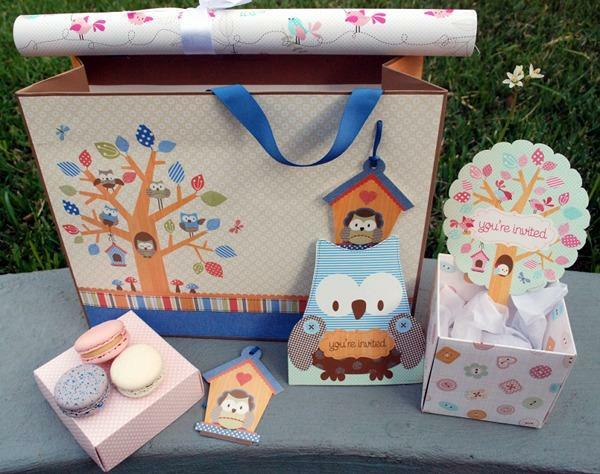 Included in the beautiful bag, which is part of the new collection especially for baby and child, were two designs of party invitations and a sweet thank you card. The truly neat thing about the Little People invites was the way they came out of the envelope as one card, and folded out into two, complete with magnets on the back to keep them at eye level on people’s fridges or noticeboards. Even the envelopes are just darling! I received the owl and bird samples but there is also a cute robot. 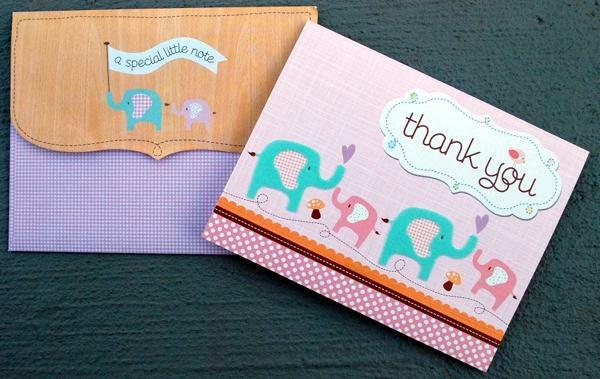 The thank you card really stole my heart with its lovely flocked mama (or papa!) elephants trumpeting out a love heart for their babies. This is such a perfect way to say thank you to the generous people who bestow gifts on you and your new baby. A pretty thank you card sent through the mail is just the kind of acknowledgement that people love, so ditch the email and go for quality. The card is part of the new Special Delivery collection especially for brand new babies. 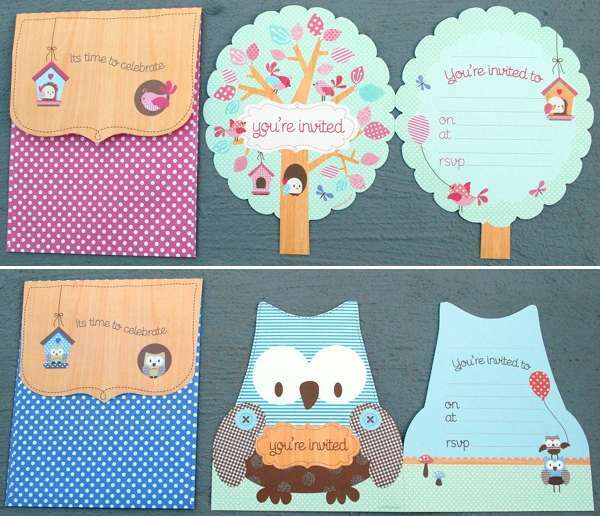 Also look for bags, tags, gift wrap and invites in this range. 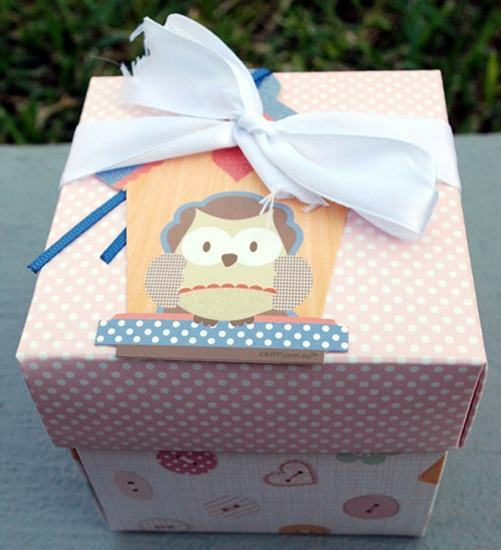 Here’s the dear little Buttons gift box, and just look what I saw inside! Do jot over to hiPP, where you’ll find an irresistible array of stationery and gift packaging for every occasion life offers up. The hiPP baby and toddler ranges are available from Myer and select independent stockists. You can find much of the range online at Mon Tresor. Thanks hiPP for making my day that much sweeter!